my friend Michele and I are total make-up whores! Nothing but the best for us though! Hi Terri! I love to mix things up every once in awhile, so I have a huge traincase full of dry makeup products and a nine-bottle wine cellar for my wet products. 🙂 It’s obvious from the Chanel and DiorShow that I love me some high-end makeup, but I gotta say – there’s a lot of drugstore-level stuff that makes the grade, too. The gal who made me up for my last shoot is a really well-regarded pinup makeup artist and hair stylist, and she used a *Nyx foundation* combined with some MAC product on me! It photographed amazingly well. love all Chanel’s stuff too! 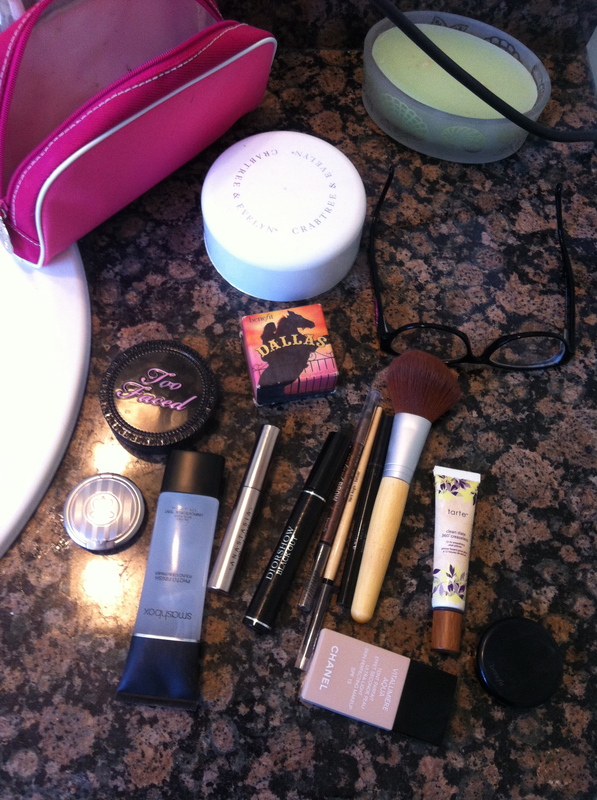 Love going to Sephora….it’s so fun in there! I’m having trouble posting a pic on this page though, any hints?